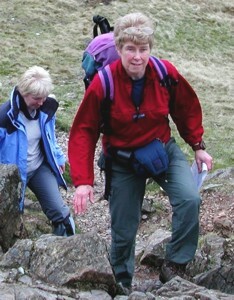 Are you ready to go Fell Walking or if you prefer - hiking or trekking with Cathy on the Lake District fells? Wicking base layer - much better than cotton because it doesn't absorb your sweat, keeping you warm in winter and cool in summer. Keswick has a huge number of outdoor gear shops, so there are often bargains to be had. It is often better to buy kit here rather than at home. Visit George Fishers for expert advice or to hire boots. Click here to see what they have to offer. A fell walk that is an easy stroll on a good day can rapidly become an epic expedition if the cloud comes down, the wind rises and the rain comes down in sheets. Click here to connect to the Lake District Weatherline for a weather forecast. 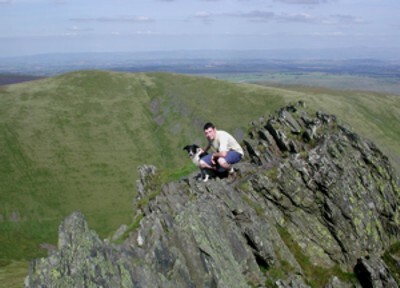 Lakeland Fells vary from a quiet grassy slope to an exposed rocky ridge or anything in between. Don't over estimate your fitness. It is best to start on a gentler walk that you will enjoy rather than trying to tackle a high peak such as Scafell Pike on the first day. 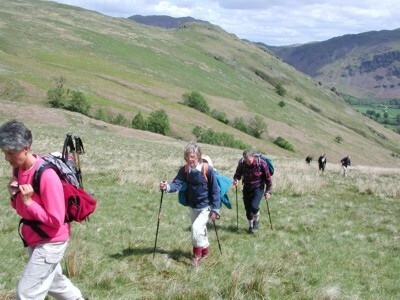 Remember that most walks in the Lake District are hilly. The fitter you are before you come the more you will enjoy your walking. Just using the stairs at work rather than the lift helps to build up those muscles! Most people expect the "ups" to be the hard part. However the "downs" may be even more difficult, particularly when you are tired. You may find that trekking poles help particularly if your knees begin to hurt. Try to move lightly when descending - don't be afraid to try running gently down a slope. Always remember that mountains are a potentially dangerous environment - witness the 70 or more call outs to Mountain Rescue services in a year in the Keswick - Northern Lakes area alone. 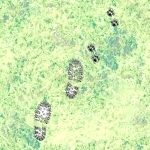 Although having a guide who knows the route helps, accidents can still happen. A trip, a sudden blast of wind, a loose rock, a moment's loss of concentration can all have serious consequences. Although I can advise you of some particular risks you must take personal responsibility for your own actions. Accidents usually happen when you least expect them particularly towards the end of the day. Always make sure you eat enough high energy food and tell me if you feel tired. It is better to turn back early than to take unacceptable risks. What is a comfortable day's outing for one may be too much for another.